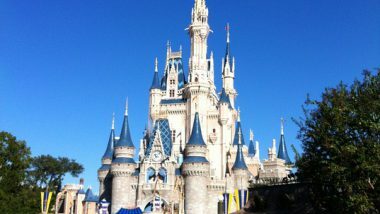 Taking a trip to Walt Disney World Resort in Orlando Florida is the ultimate treat for you and your family. There is just so much to do and see there that you can never get bored. In fact most people that I have spoken to say there there is simply not enough time to see and do everything that there is to do. Walt Disney’s vision, or mission statement was “to be one of the world’s leading producers and providers of entertainment and information. Using our portfolio of brands to differentiate our content, services and consumer products, we seek to develop the most creative, innovative and profitable entertainment experiences and related products in the world,” according to About.com. Walt Disney World Resort is located in Lake Buena Vista, Florida, near Orlando. Disney World is a vast collection of four theme parks and two water parks. This resort is the most visited vacation resort in the world. They say that about 53 million people pass through those gates each year. From the year 2014, tickets became available from one day to ten day passes. Annual passes also became available. There are over 27,000 acres of property and houses, 27 themed resort hotels, four golf courses and a camping resort at Walt Disney World Resort. How Did The Walt Disney World Resort in Orlando Florida Come To Be? First there was Disneyland in California, but when Walt Disney wanted to expand on that, he didn’t have the space to do it. He then started buying up land in Orlando using dummy corporations. At first, nobody took any notice, but before long he had 27 000 acres under his control. A reporter uncovered the story, and the resort’s history began. The construction of Walt Disney World Resort began in 1969, led by Roy Disney after Walt passed away in 1966, with a targeted opening date of October 1, 1971. 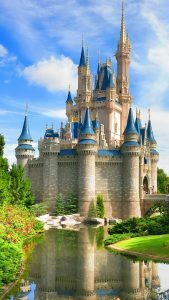 The first phase included the Magic Kingdom and its six lands, two golf courses, two hotels and the Seven Seas Lagoon, a 200-acre lake. Fort Wilderness Campground was then opened a month later. By the year 1982, Epcot Center, Walt Disney World Village, and six resort hotels were up and running. Later in that same decade, the posh Grand Floridian Beach Resort, Pleasure Island, and the Typhoon Lagoon water park opened. The 1990s brought along with it Disney’s Animal Kingdom, Disney Vacation Club, a timeshare opportunity, Blizzard Beach water park and attractions based on Disney-backed movies. The opening of Downtown Disney, a shopping and entertainment area, and the inauguration of the Disney Cruise Line, were also achieved in this decade. In 2001, the entire park threw a year-long party to celebrate Walt Disney’s birth in 1901. Included was the “Walt Disney: One Man’s Dream” exhibit at Disney-MGM Studios. There are still over 20,000 undeveloped acres left, so the original dream of Walt Disney isn’t quite over yet. The Star Tours ride is based on the movie, “Star Wars: The Force Awakens.” The 3D technology simulates the motion of space flight. The ride is part of “Star Wars” Galaxy at Disney’s Hollywood Studios, which also features a fireworks show accompanied by “Star Wars” music. The Pirates of the Caribbean, in the Magic Kingdom Park, is suitable for all ages. It’s a slow ride with small drops, but much of it is dimly lit. Passengers board small barges which follow a waterway past fighting pirates, buried treasure and pirate skeletons. It’s a larger and updated version of the original favorite that opened in Disneyland in 1967. Also in the Magic Kingdom Park is Space Mountain, a roller coaster ride in almost total darkness. The twists, turns and drops feel even bigger because they are a total surprise. Most of the illumination comes from stars and various planets that seem to fly by. The Haunted Mansion, in Liberty Square in the Magic Kingdom Park uses Doom Buggies to transport guests throughout the mansion that’s filled with ghosts that pop up anywhere, a graveyard, a grand ballroom filled with dancing ghosts and a séance room. A ghost narrates the tour, while at the end of the ride three ghosts show up in each Doom Buggy. 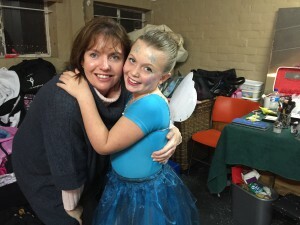 It’s spooky, but there’s no gory stuff to scare the little ones. 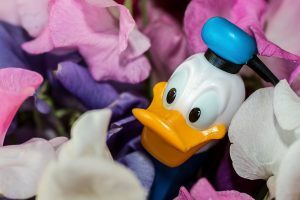 Where Can I Get Discounts For Disney World? 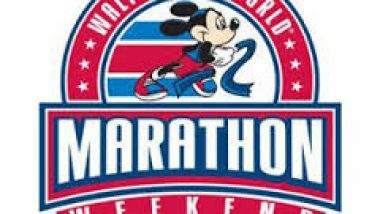 Most admission coupons for Walt Disney World are available as online discounts; with the correct coupon code or deal, you can order tickets online. When purchasing from a non-Disney seller, verify that the deal is accepted by the park before purchasing. 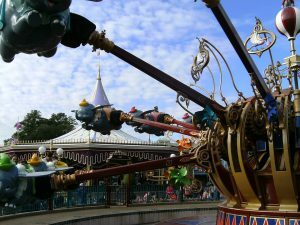 Pay close attention to the restrictions on each offer, as some discount tickets are not compatible with the park’s FastPass service and other special features. Here is an excellent resource that you can read about that can save you thousands on your trip.